Cisco's CUCM (Cisco Unified Communication Manager) is a system that combines voice, video, data and mobile products into a single unified management suite. At its core, the CUCM is like a "Super PBX" that controls the flow of all communications through an organization even single or multiple site deployments. 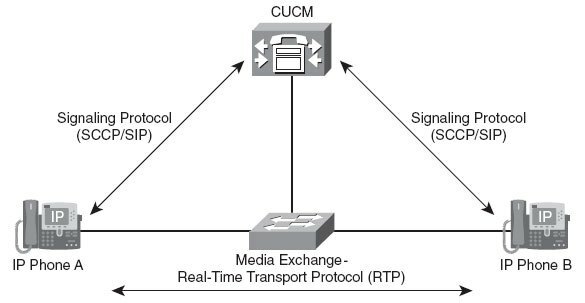 Cisco's CUCM makes communication more effective and simple through centralized management and unification of communications resources. First of all the CUCM is a Linux based OS that is installed onto a server. It is like the "Control Panel" or "PBX" for all of your communications in terms of voice and video. CUCM consists of 4-layers or building blocks to function and create a cohesive communication solution for your enterprise. Since CUCM is IP (Internet Protocol) based it uses traditional network infrastructure including switches, routers with the addition of voice specific gateway and switching (voice gateway and voice switch). This layer is also where high availability, QoS (Quality of Service) and management. The call control layer is actually where CUCM lives and is active. It is the layer that handles and processes the calls, manages devices and where the PBX administrator can set dial plans and other features. The applicaton layer processes things other than calls and is indepedent of the Call Control layer. Cisco ER (Emergency Responder) - Identifies the caller location and maps that location to an emergency line identification number. The end points layer should be described and thought of as the "user level" which is essentially the end-product for the end user. This is because the Endpoints layer presents itself as a Cisco based IP phone, or other VOIP device/application, video terminal etc. 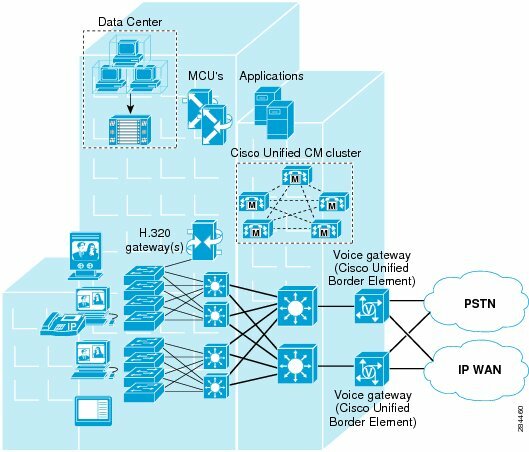 The Cisco CUCM is like the "director" or "operator" of calls and helps initially connect or signal the parties involved in a phone conversation. It refers to the complete process of originating, terminating and routing calls. It also allows for stats to be collected for metrics and billing. 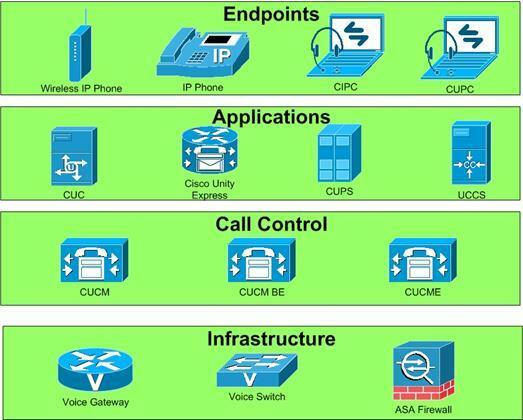 The CUCM also creates dialplans which control how and where a user can call. CUCM also creates basic phone functionality such as the ability to hold, conference or transfer calls. CUCM also integrates with your existing Active Directory setup to help reduce the configuration and authentication of new users. How Do Calls Get Setup? Once the end-user picks up their phone, the phone signals the CUCM that it is "off hook" or "picked up" and will signal the device to play the dialtone. Their device either sends each digit back to CUCM to be dialed (if it uses the SCCP protocol) or sends all digits at once, once the user has dialed (if using the SIP protocol). If a match is found in their dialplan on their CUCM the call will be routed/go through, otherwise the user would receive the "reorder tone" or busy signal. 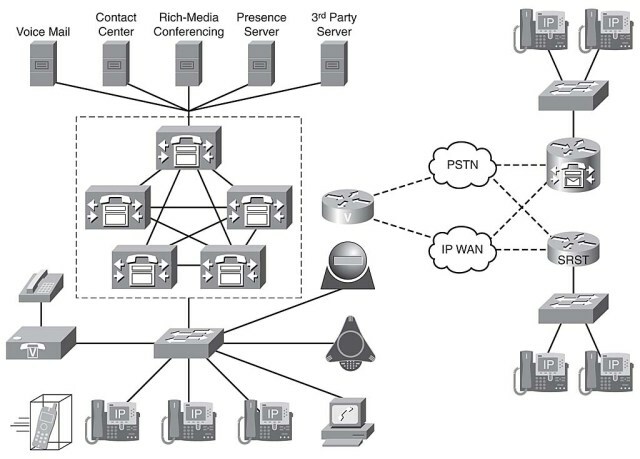 In this call processing deployment model, the Unified Communications services and the endpoints are co-located in the campus, and the QoS-enabled network between the service nodes, the endpoints, and applications is considered highly available, offering virtually unlimited bandwidth with less than 15 ms of latency end-to-end. Likewise, the quality and availability of power are very high, and services are hosted in an appropriate data center environment. Communications between the endpoints traverses a LAN or a MAN, and communications outside the enterprise goes over an external network such as the PSTN. An enterprise would typically deploy the campus model over a single building or over a group of buildings connected by a LAN or MAN. 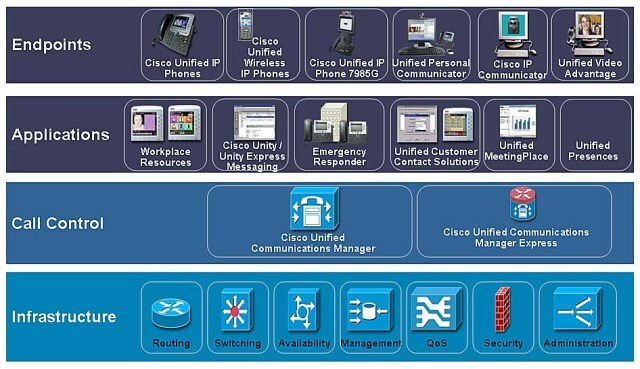 •Single Cisco Unified CM cluster. Some campus call processing deployments may require more than one Unified CM cluster, for instance, if scale calls for more endpoints than can be serviced by a single cluster or if a cluster needs to be dedicated to an application such as a call center. •Alternatively for smaller deployments, Cisco Business Edition 3000, 5000, or 6000 may be deployed in the campus. •Maximum of 40,000 configured and registered Skinny Client Control Protocol (SCCP) or Session Initiation Protocol (SIP) IP phones, Cisco Cius, video endpoints, mobile clients, and Cisco Virtualization Experience Clients (VXC) per Unified CM cluster. •Maximum of 2,100 gateways and trunks (that is, the total number of H.323 gateways, H.323 trunks, digital MGCP devices, and SIP trunks) per Unified CM cluster. •Trunks and/or gateways (IP or PSTN) for all calls to destinations outside the campus. •Co-located digital signal processor (DSP) resources for conferencing, transcoding, and media termination point (MTP). •Other Unified Communications services, such as messaging (voicemail), presence, and mobility are typically co-located. •Interfaces to legacy voice services such as PBXs and voicemail systems are connected within the campus, with no operational costs associated with bandwidth or connectivity. •Multipoint Control Unit (MCU) resources are required for multipoint video conferencing. Depending on conferencing requirements, these resources may be either SCCP or H.323, or both. •H.323 and H.320 video gateways are needed to communicate with H.320 videoconferencing devices on the public ISDN network. •High-bandwidth audio is available (for example, G.722 or Cisco Wideband Audio) between devices within the site. •High-bandwidth video (for example, 384 kbps or greater) is available between devices within the site. The Cisco Unified Video Advantage Wideband Codec, operating at 7 Mbps, is also supported. •Ensure that the infrastructure is highly available, enabled for QoS, and configured to offer resiliency, fast convergence, and inline power. •Know the calling patterns for your enterprise. Use the campus model if most of the calls from your enterprise are within the same site or to PSTN users outside your enterprise. •Use G.711 codecs for all endpoints. This practice eliminates the consumption of digital signal processor (DSP) resources for transcoding, and those resources can be allocated to other functions such as conferencing and media termination points (MTPs). •Follow the provisioning recommendations listed in the chapter on Call Processing.